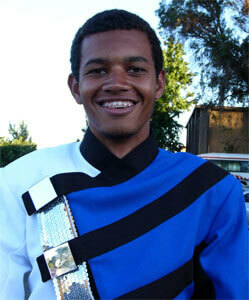 Nineteen-year-old Anthony Porter, a three-year veteran of Blue Devils B, talks about what motivates him to drive three hours each way for rehearsals. 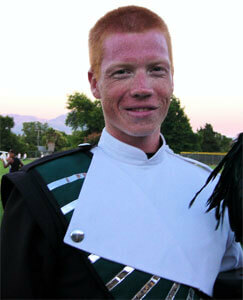 Ryan Lewis is a 21-year-old trumpet player with Seattle Cascades from La Masa, Calif. 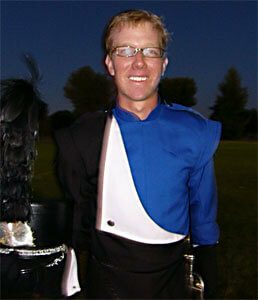 This will be his fifth and last year with the corps as the group's horn captain. Lewis gives his impressions of Seattle Cascades' very first performance at Precision West. 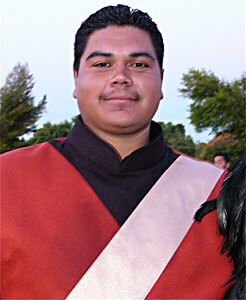 Mario Urbina, a 21-year-old trumpet player from Sacramento, Calif. will spend his sixth and last year with Mandarins this summer. Urbina tells us how he got involved with the Mandarins and gives a historical perspective of the corps' move from Division II to Division I in 2003. Blue Knights' Tyler VanDam, who is an 18-year-old native of Broomfield, Colo., is looking forward to starting college in the fall. He tells us how he became involved with the Blue Knights and how his experience with the corps has influenced his decision to become a music performance major.